Photograph or videotape on March 22, 2013. Not sure where to go – let us know & we will match you up with dancers & a location near you! Click here to drop us a line. Is dance possible in your space? How would you feel about dancers there? 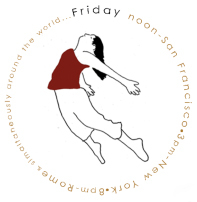 Interested in energizing your space with dance? Please let us know and we will find some dancers for you! Click here to drop us a line.